Diagnose your devices CEC chatter Kwikwai's web interface displays and decodes CEC messages exchanged between devices on the HDMI bus. It can also send messages. This allows to discover what messages your devices support, to investigate any proprietary ones, and try control scenarios comfortably. 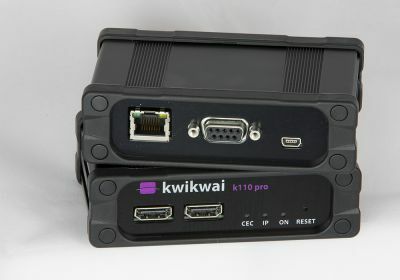 Device manufacturers can of course use kwikwai as an affordable, CEC only HDMI test tool. Decode E-EDID Kwikwai reads and decodes all the information contained in the E-EDID. This includes the HDMI data block, including the sink physical address, as well all the newest 3D related fields. The raw E-EDID is provided as well for copy pasting.